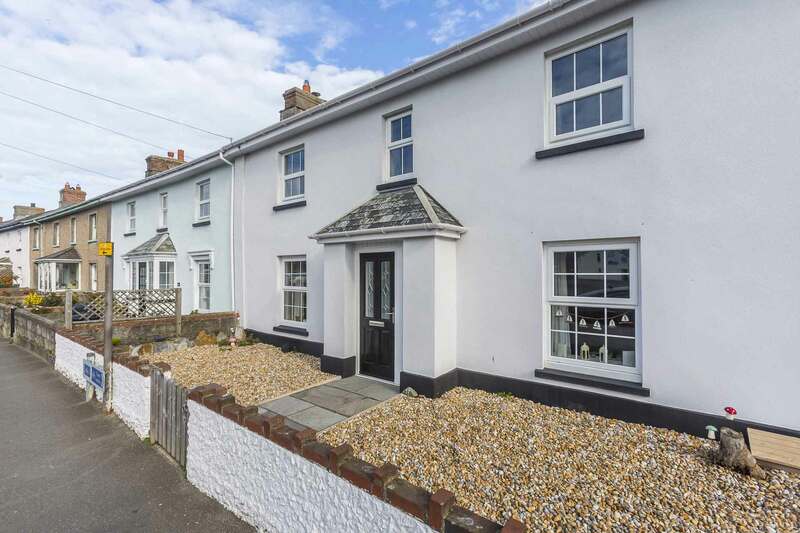 The Crescent is a spacious but cosy character cottage situated near The Bude Canal and Summerleaze Beach. 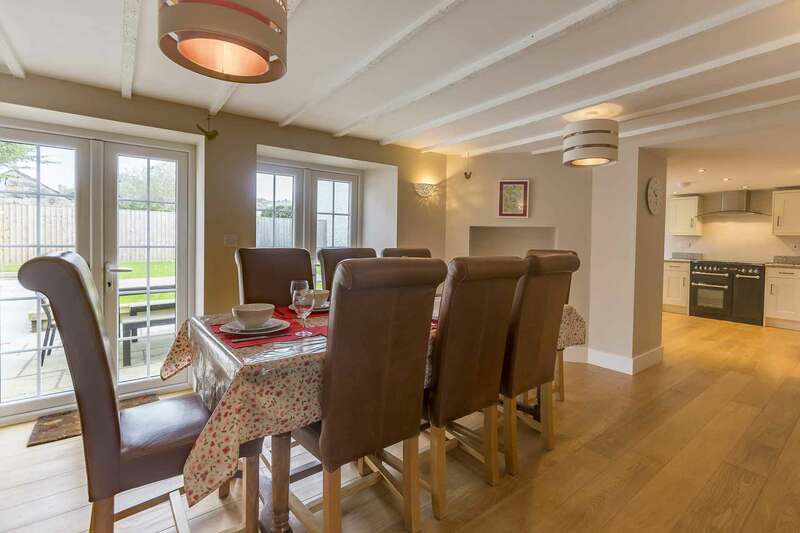 This completely refurbished self-catering holiday cottage offers truly luxurious holiday accommodation and is perfect for family fun for children and adults of all ages! This 5 bedroom property can comfortably sleep up to 9 people thanks to the 2 ensuite king size bedrooms, 2 twin bedrooms and single bedroom. It also has the luxury of two lounges, each with its own flat screen TV, games console and one even has a wood burning stove, perfect for chilly evenings. The spacious kitchen diner is at the rear of the property with double doors leading out to the enclosed garden with patio and BBQ area. 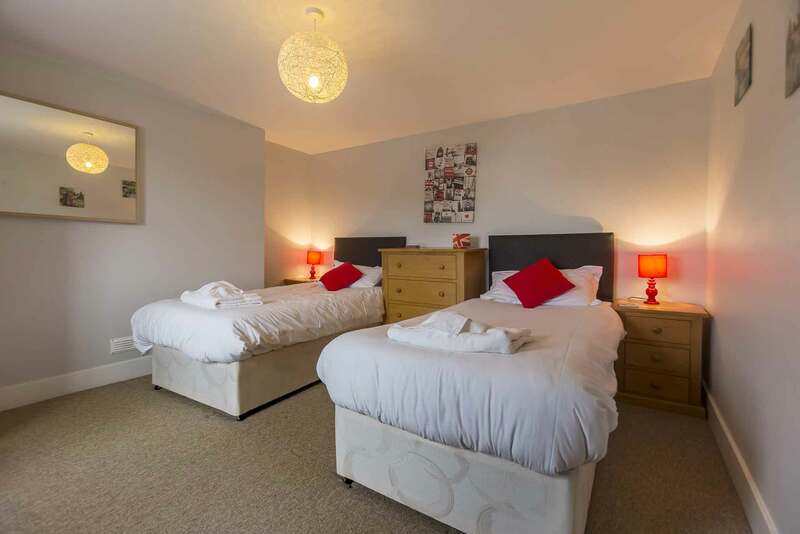 The Crescent really is perfect for those wishing to be close to all that Bude has to offer. The Crescent Stores and Post Office are virtually on your doorstep, so you can easily pick up your morning paper, and get essential supplies including fresh bread and cakes. If you would rather you can take a short stroll to the town centre which has a wide selection of shops and restaurants. 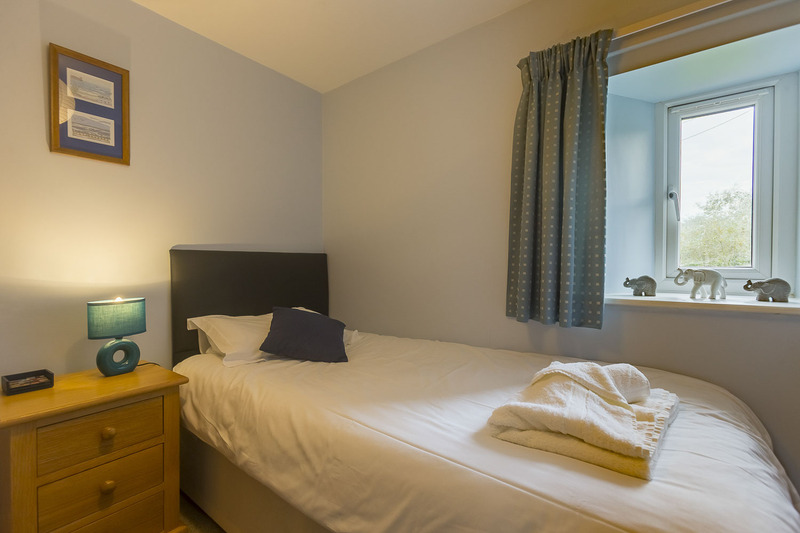 You will be staying just 400 metres away from the Summerleaze Beach which is famous for its Sea Pool, surfing and golden sand dunes. 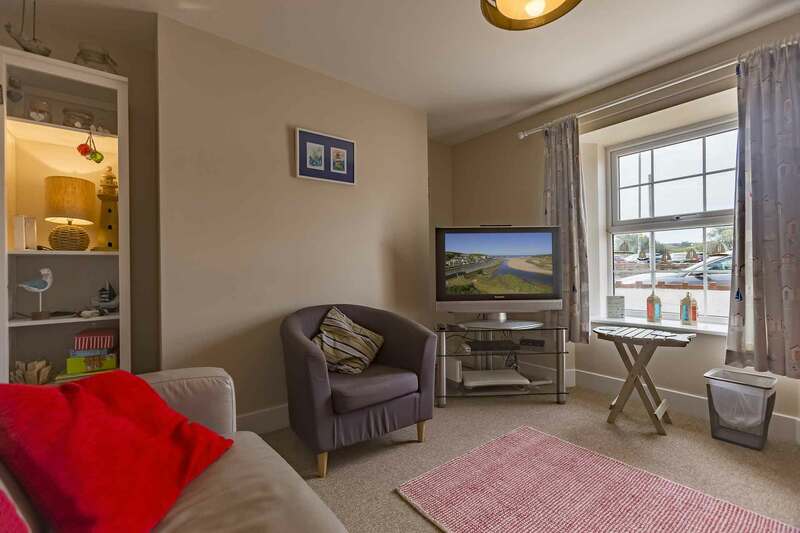 The cottage is also ideally located for walks along Bude Canal whilst enjoying stunning views of the Atlantic Ocean! “We were a party of 6 adults and The Crescent suited us very well. The house was very clean and the beds comfortable. One downside for us, was the fact that while this property is large, there are 2 living rooms, both small, so while there was sufficient seating for 6 of us, we were a bit cramped. 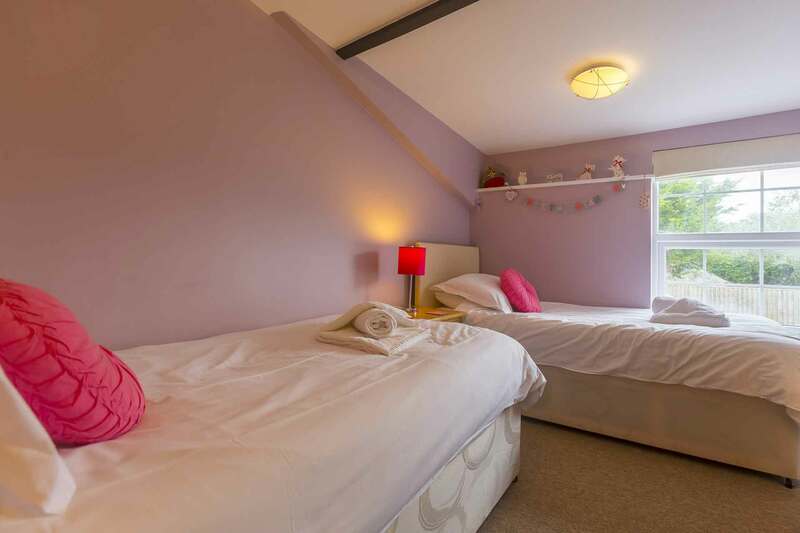 Having said that, for families with children the two rooms would be ideal. 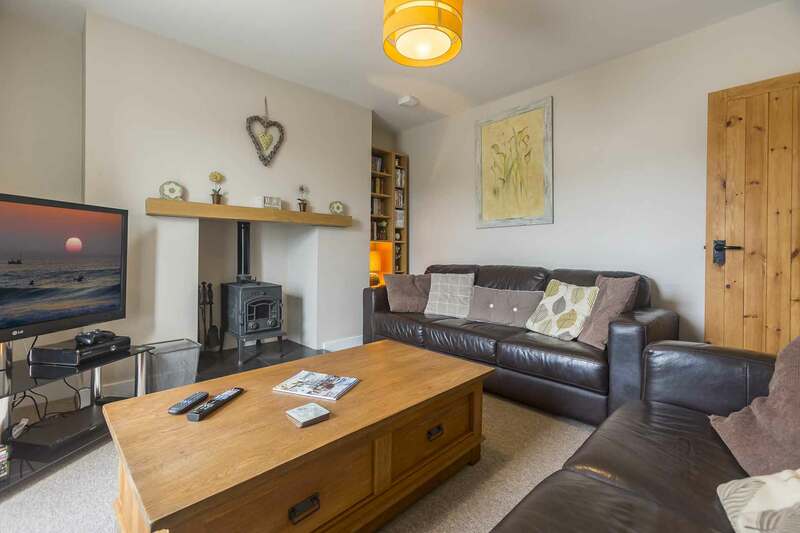 The Crescent is a spacious but cosy character cottage situated near The Bude Canal and Summerleaze Beach. 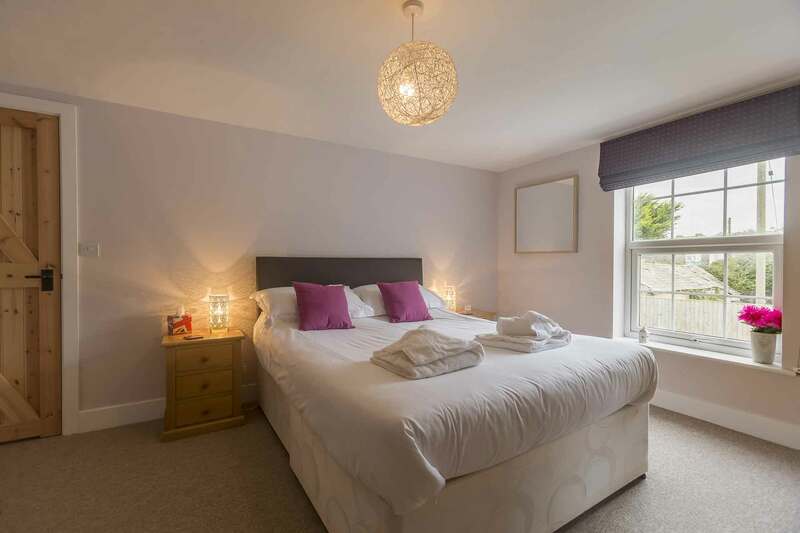 This completely refurbished self-catering holiday cottage offers truly luxurious holiday accommodation in the centre of Bude. It is perfect for family fun for children and adults of all ages! This 5 bedroom property can comfortably sleep up to 9 people thanks to the 2 ensuite king size bedrooms, 2 twin bedrooms and single bedroom. It also has the luxury of two lounges each with its own flat screen TV, DVD player and games console and one even has a wood burning stove perfect for chilly evenings. 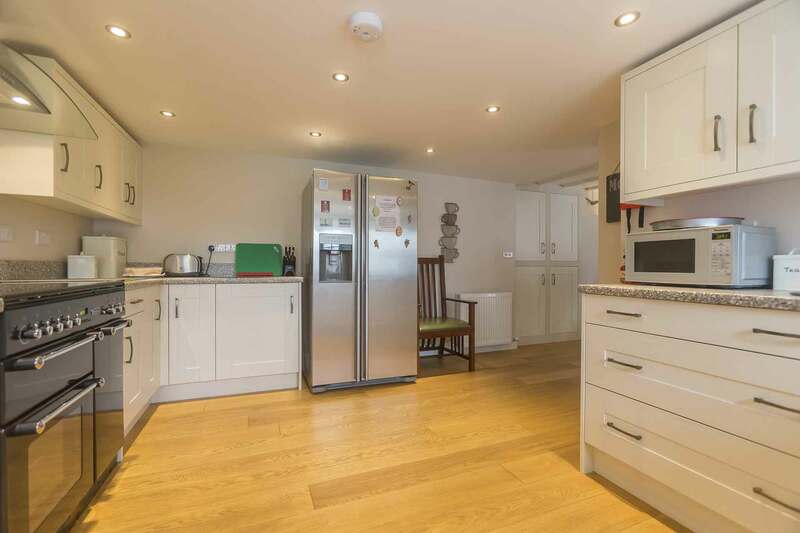 The spacious kitchen diner is at the rear of the property with double doors leading out to the enclosed garden with patio and BBQ area. 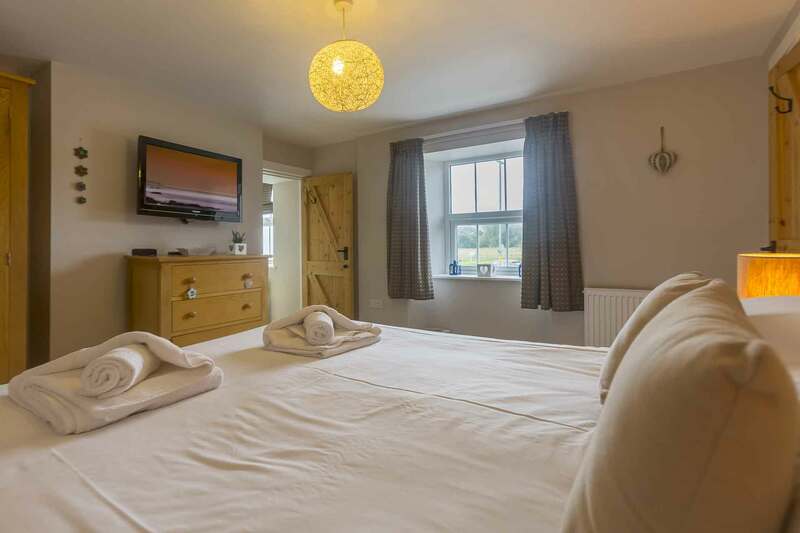 You will be staying just 400 metres away from the Summerleaze Beach which is famous for its Sea Pool, surfing and golden sand dunes. 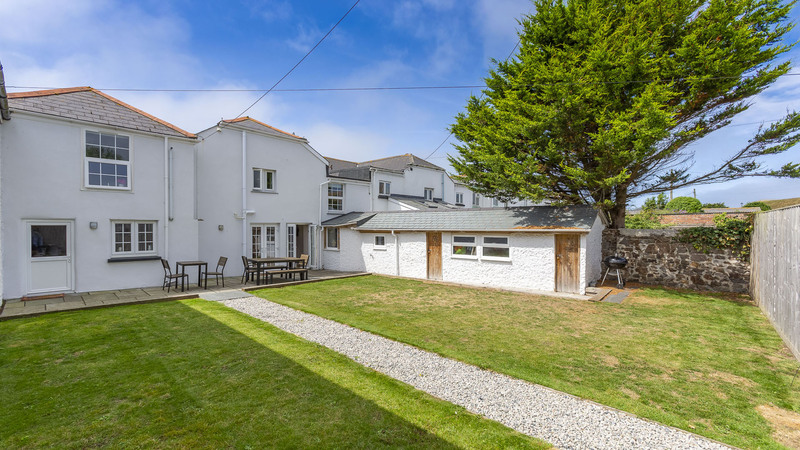 The cottage is ideally located for walks along Bude Canal whilst enjoying stunning views of the Atlantic Ocean!